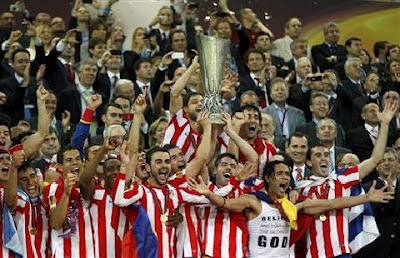 While Atletico Madrid celebrate winning their second Europa League title in three years, one major problem at the club is beginning to stir in the background. This problem is the huge debt that the club faces. While it is no secret that there are major financial problems in Spanish football, stemming from a combination of the general economic situation in the country, poor financial management in the past, and the major inequality in television revenues, there is a real danger that some of Spain’s major clubs could be facing an uncertain future. Indeed, a leading professor in economics and finance in Spain, Jose Maria Gay, has recently said that once the new UEFA financial fair play system comes into operation, in his view, there are only five clubs in the top flight of Spanish football that are certain to survive – the big two of Barcelona and Real Madrid, Osasuna, Athletic Bilbao and Valencia. Even now, six of the top flight clubs in Spain find themselves under bankruptcy protection, with substantial tax repayments due to be made by June. Recent government assessments have suggested that clubs in the top two divisions of Spanish football owe almost $1bn in unpaid taxes – a staggering amount. In the top division alone, the combined debts of the twenty clubs are believed to be around $4.61bn, or around $230m per club. Naturally, this debt is not spread evenly across the clubs. At the bottom of the list is Almeria, with a mere €30m worth of debt, closely followed by Sporting Gijon (€32m) and Malaga (€38m). However, it is at the opposite end of the list that the figures become quite astonishing. Real Madrid top the list with a debt of €590m, followed by Barcelona with a debt of €578m. While these are very high figures, the debt cover (revenue:debt) of these two clubs is actually fairly respectable at 81% and 78% respectively. However, there are seven other clubs with debts of over €100m. Sevilla at €101m are not a huge worry, given their debt cover of 82%. Valencia have worked hard over the past five years to rein in their debts, which now stand at €382m with debt cover of 31%. 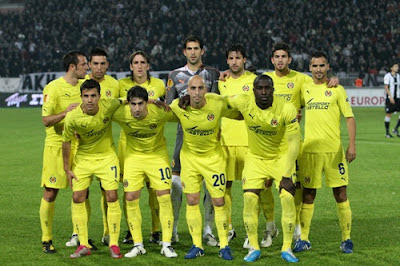 Survival is essential for Villarreal this season, given their existing debts of €267m. Their current debt coverage is only 22%, and relegation could ultimately spell the beginning of the end for the club. It is a similar story for Real Zaragoza, who have come back from the dead this season, and have now given themselves a real chance of staying in the division. However, as with Villarreal, their debt of €152m at 23% coverage could potential pull them under if they are unsuccessful in staying in the top division. Two of the other sides with over €100m debts are Espanyol (€188m) and Deportivo La Coruña (€100) with debt coverage of 24% and 33% respectively. However, the real worry is Atletico Madrid. Their debt stands at an incredible €514m, only €76m below their city rivals. With a debt coverage of only 19%, their recent success stands on a foundation of sand. One major source of this debt is unpaid tax. 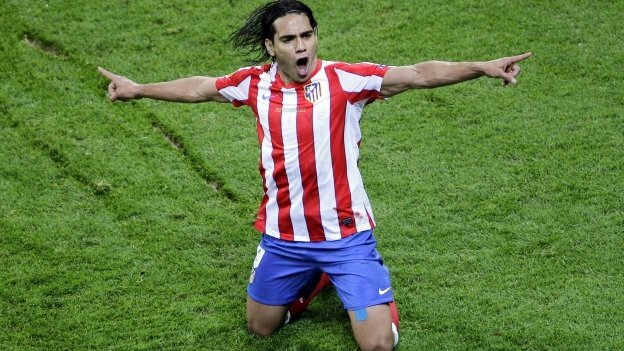 Atletico Madrid owe the taxman an unbelievable €155m, over €100m more than the second highest team, Barcelona at €48m. This figure comes after the entire €50m fee for Sergio Aguero last summer was given directly to the tax authorities. They have recently come to an agreement to repay €15m per year in tax. However, even excluding any new tax that is due, this still means that it will take over a decade to repay the initial sum. When you add in the 4.5% interest rate on this tax debt, it is likely to be at least twenty years before their full tax burden is repaid. The Atletico Madrid CEO, Miguel Angel Gil, explains this. “This arrangement has been going on for years. Other teams have bank debt, we have tax debt.” In other words, instead of borrowing from the bank, they just decided not to pay their taxes and view it as a loan. It is believed that around €46m of that tax debt comes from when the club was relegated to the second division in 2000, and simply stopped paying its taxes for two years in order to concentrate on getting promotion back to the top division. Another €50m comes from recent reviews of their tax positions. This situation is not dissimilar to that of Rangers, who have been forced into financial administration over a claim from HMRC for up to £75m. However, in Spain, this is less of an issue. In other words, the government does not want to take the blame for crippling Spanish football at a time when it is experiencing great success and acting as a distraction from the tough austerity measures that are being introduced. However, this does have a distortional effect on a European-level. Spain had two of the four semi-finalists in the Champions League, and three of the four semi-finalists in the Europa League. The success of these Spanish clubs in Europe is predominantly based on an unsustainable financial system, backed by a government that is unwilling to act. The hero of Atletico Madrid’s Europa League final victory over Athletic Bilbao is a shining example of the problem. 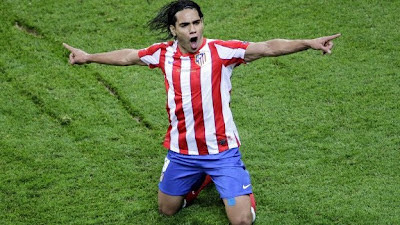 Despite huge debts and unpaid tax, Athletico were still happy to splash out a club record fee of €40m for Falcao last summer. Indeed, the final was a clash between two complete opposites on the financial responsibility scale. I have already painted a picture of Atletico Madrid’s situation. On the flip side, Athletic Bilbao, much praised for its policy of only selecting Basque players, is one of only six clubs that does not owe any outstanding taxes, and its debts of €79m are combined with debt coverage of 73%. While Spain is certainly not alone in this situation, the problems are far more severe and widespread than elsewhere. Actions need to be taken, and taken soon, if the Spanish league is not to collapse under the pressure exerted by this huge financial discrepancy. So cool. Thanks for the post. It must be so amazing to attend to the world's most famed sporting events. One practical thing to so for a sports holiday is to have tailor made sports tours. You would be able to enjoy more of your tour.